My figure, calculated from Google Earth data and my own GPS traces. 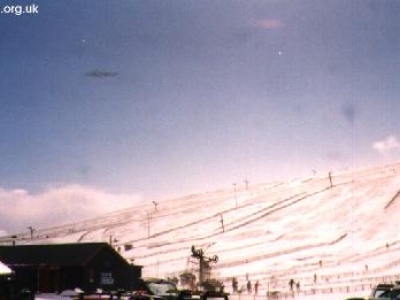 The Lecht is noticeably smaller than the other 4 Scottish ski centres, but very well organised and also benefits from a well designed, modern base station building. 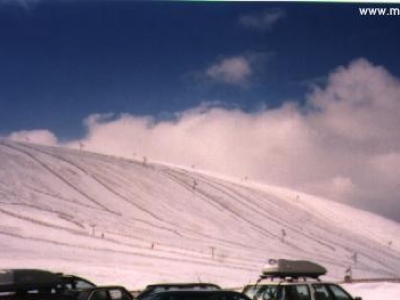 The base altitude is roughly the same as the other areas, but is situated in a much lower part of the Scottish mountains, so the vertical drop is more limited and the runs are short. Most of the runs are located on the west side of the pass, more is less lined up in parallel along the mountain side. Intermediate and advanced skiers will find some short, but enjoyable reds here. However, for beginners, the area is ideal, with plenty of short easy runs which on which to build confidence. 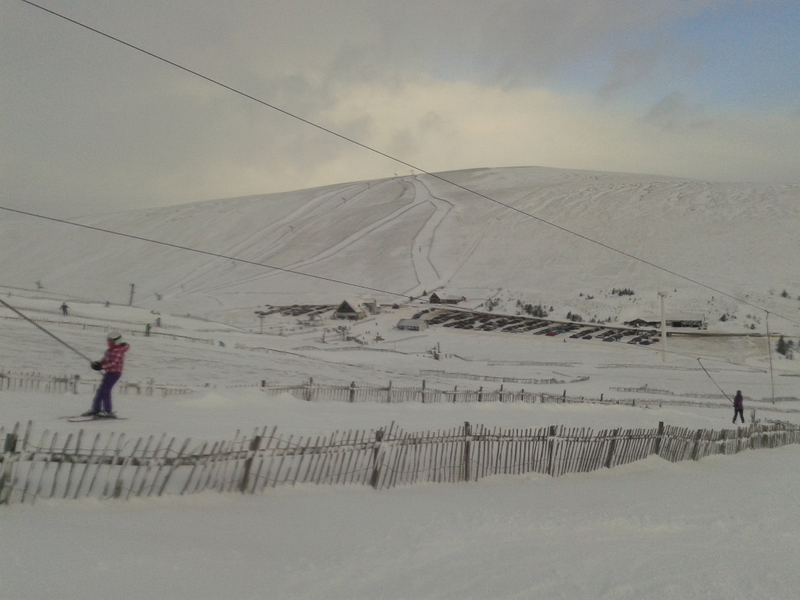 The Lecht has a decent snow making system, which covers key parts (or in some cases the full length) of the main runs. 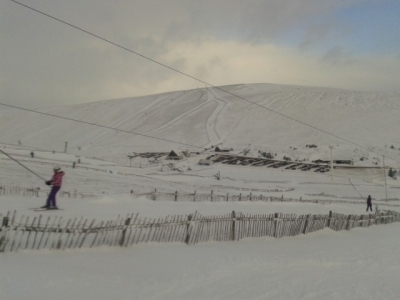 The mountainside is also comparatively rock free, so the Lecht requires less snow to open lifts and runs than the other areas. 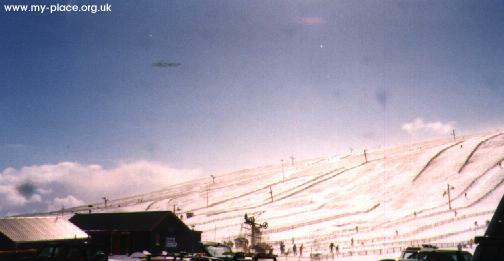 This often allows the Lecht to be the first area to open at the start of the season. 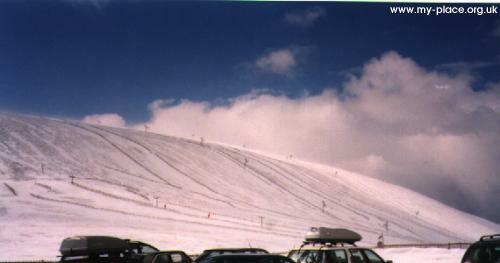 The ski centre also posses a dedicated terrain park with half pipe and jumps. On paper The Lecht has quite a big lift system for the size of terrain, however many of these lifts are for nursery slopes. There is a triple chair and all the other main lifts are of the fast poma variety, while the nursery lifts are mostly rope tows and small buttons. 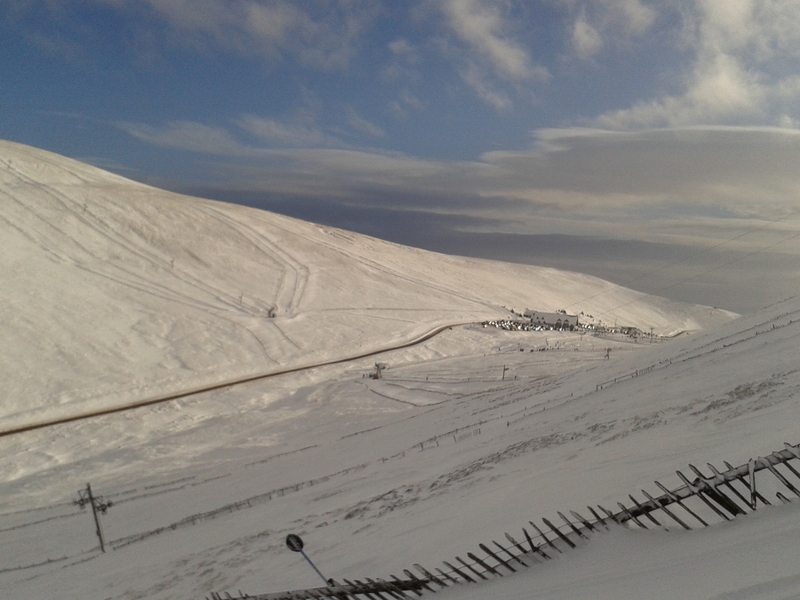 It’s worth noting that the Harrier lift, which serves The Lecht’s only black run tends to only operate during busy periods, regardless of snow cover. At other times, skiing the Harrier runs will require a walk back up to the Falcon, or alternatively a traverse if you cut your run short. 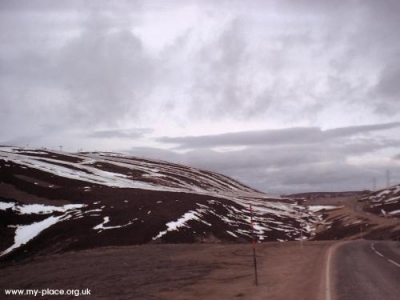 The Lecht is located a few miles south of Tomintoul (on the A939), one of the highest villages in the Scottish highlands. Braemar to the south is also within relatively easy reach and would make a good base, with access to both The Lecht and Glenshee. However, the southern access road is very steep and is prone to closure in bad weather. 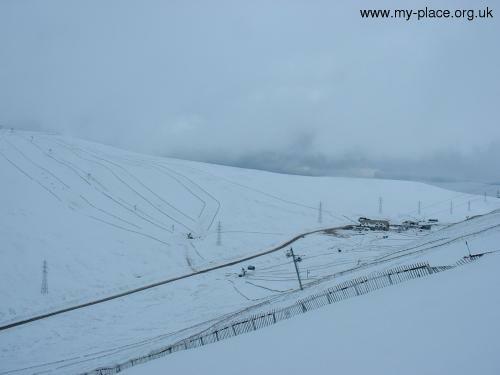 The ski area itself is more sheltered and is often able to operate lifts when all the other areas have shut down because of high winds etc.